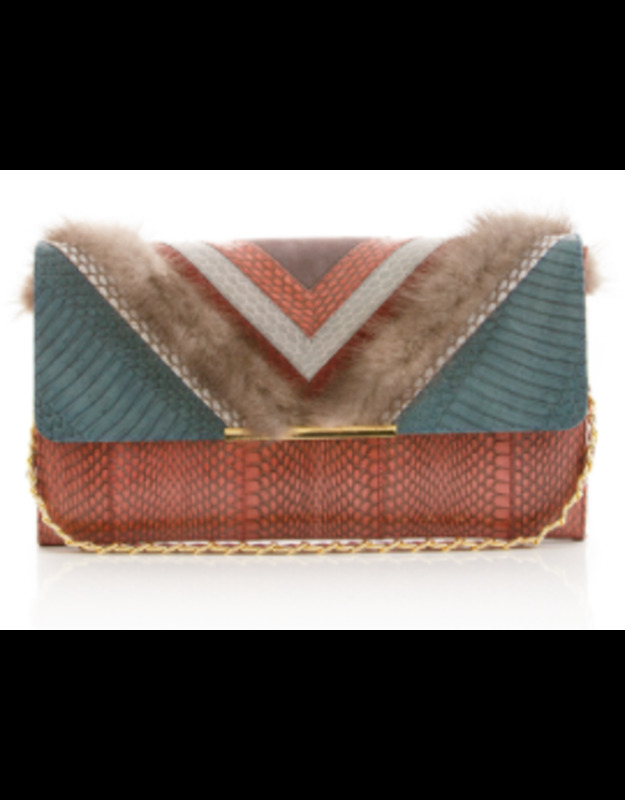 Clutch bag with removable strap. 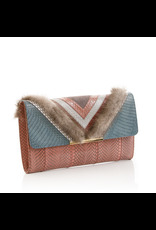 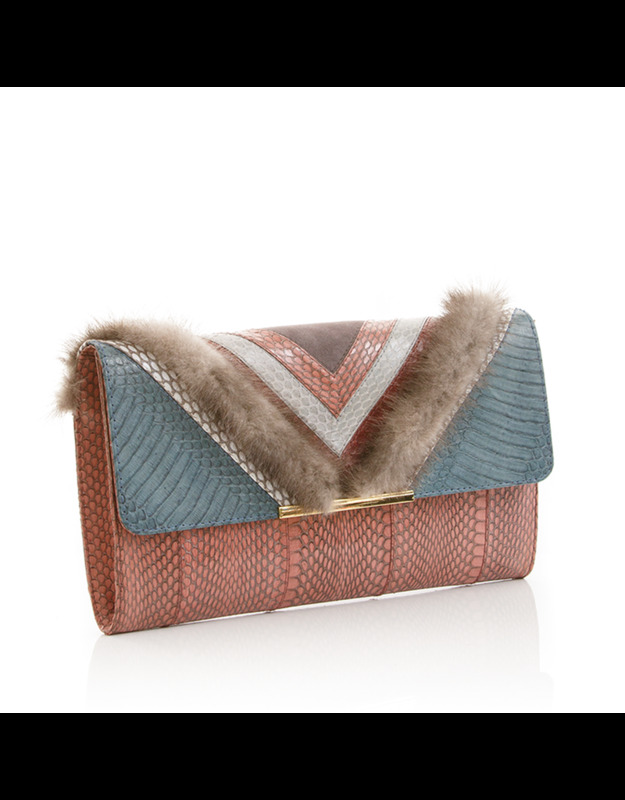 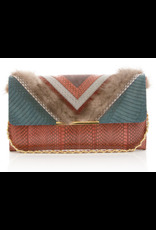 Geometric in shape, this bag features contrasting colours and materials accented by a delicate mink band that adds an element of surprise and originality. 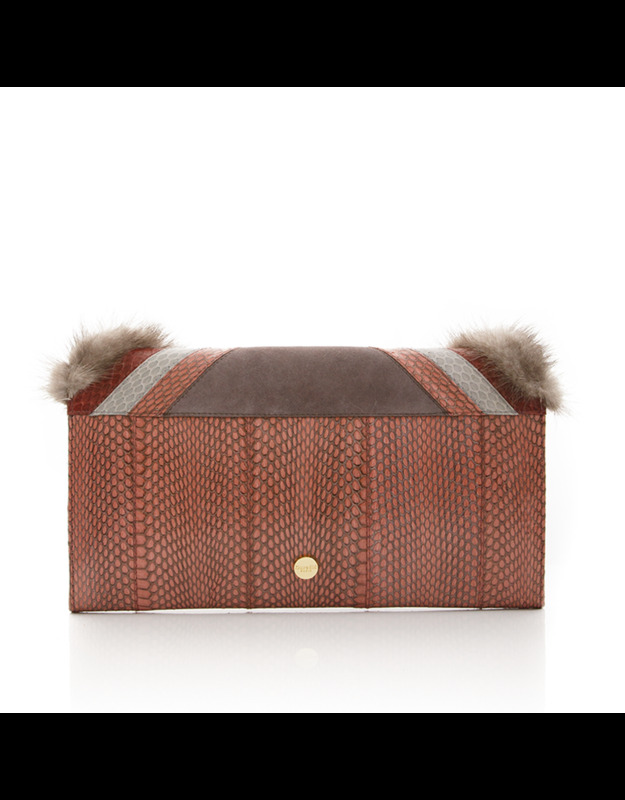 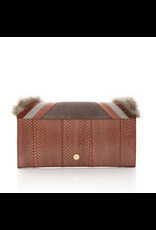 Its ample interior and small zipped inner pocket are perfect to hold all your small essentials.